Reston, Va. — Two types of human-associated bacteria and three types of human viruses were detected in Milwaukee streams within the Menomonee River watershed, according to a recent study led by the U.S. Geological Survey. 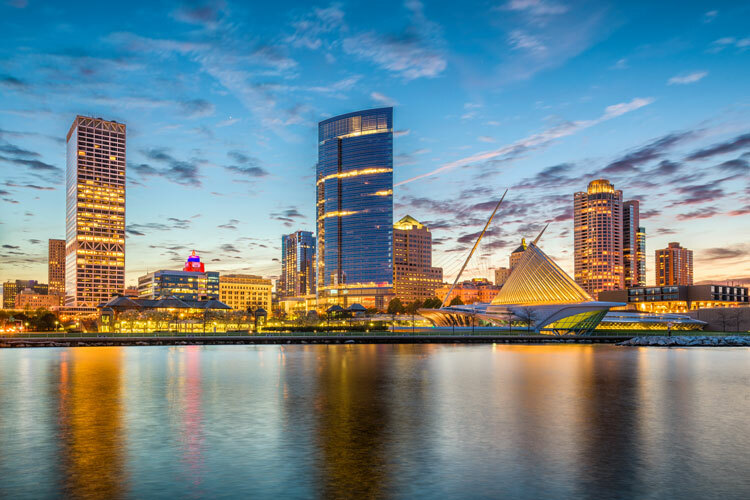 From 2009-2011, scientists with the USGS, U.S. Department of Agriculture and University of Wisconsin-Milwaukee sampled surface water from six Menomonee River stream locations in Milwaukee, Wisconsin, to measure human sewage contamination in the watershed. The scientists collected samples during periods of high-water flow from rain, snowmelt or both, and periods of low water flow. They tested 228 samples for eight types of human viruses and for two types of bacteria that are associated with human waste. The three viruses detected in the study were adenovirus C, D, F, which was the most common and can cause minor respiratory illnesses; adenovirus A; and enterovirus, which can cause symptoms similar to the common cold. The scientists found at least one of these viruses in 20-73 percent of samples during low water flows and in 24-61 percent of samples during high-flow events, depending on sampling location. The sites with the highest total virus concentration and/or occurrence were the Little Menomonee River near Freistadt in Mequon, Wisconsin, the Menomonee River at Wauwatosa and the Menomonee River at 16th Street in Milwaukee, depending on either low water or high water flows. The two types of bacteria associated with human waste that were tested were human Bacteroides and Lachnospiraceae. Depending on sample location and bacteria type, bacteria were found in 43-94 percent of samples during low-flow periods and in 67-100 percent of samples during high flows. The sites with the highest concentration of bacteria were Honey Creek and the Menomonee River in Wauwatosa, and the Menomonee River at 16th Street in Milwaukee, depending on bacteria type and water flow level. The bacteria themselves do not pose a health hazard and are common in the human body, but they enter waterways through sewage. The presence of these bacteria in water indicates that sewage is also present, and sewage carries material such as viruses that can cause illness. These indicators of sewage can be influenced by environmental factors, which likely caused bacteria levels to increase while virus levels decreased as they were transported to the lower portion of the watershed. The new study is published in the journal Environmental Science and Technology. For more information about urban water quality in Wisconsin, visit the USGS Upper Midwest Water Science Center website at https://www.usgs.gov/centers/wisconsin-water-science-center.